Photo by: Alfredo Borba, via Wikimedia Commons. Albany, NY - August 17, 2015 - Today, U.S. Senator Charles E. Schumer announced that his office will be conducting a statewide lottery for one ticket to the Joint Meeting of Congress with His Holiness Pope Francis of the Holy See on September 24, 2015. Senator Schumer received one guest ticket, and requests are pouring in from across New York from those trying to see Pope Francis and experience a piece of history. Pope Francis will be the first Pope to ever address a joint meeting of Congress. Senator Schumer will also offer 100 pairs of tickets to the Papal Audience on the West Lawn of the Capitol following Pope Francis’ address. Schumer’s office will distribute tickets during a random drawing that will be held on August 27th, 2015. The deadline to submit requests will be August 26th, 2015 with requests ONLY being accepted through Schumer’s website. Tickets for the Joint Meeting of Congress and the Papal Audience are only provided through Congressional offices and are free of charge. To enter, New Yorkers should go here, and fill out the entry form (due to volume, requests cannot be accepted by phone). Entrants will be asked to submit their name and contact information. 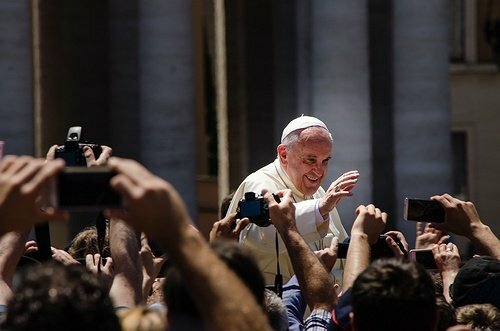 One Joint Meeting ticket winner and 100 winners of a pair of tickets to the Papal Audience will be notified personally after the lottery is held. Schumer noted that only the names of the winners will be made public. Additional information can be found at Senator Schumer’s website. Subject: LongIsland.com - Your Name sent you Article details of "Schumer Launches Statewide Internet Lottery for Single Ticket to Pope Francis Address to Congress"